An original way to discover the hidden and secrets places of the city with a personal Seville tour guide. The highlights of Seville monuments and sites. The best information and interesting stories. Services of Seville tour with for all kind of groups and private visits. I am an enthusiast of Seville, I’ll love to share with you the stories, the architecture, the history and the art of this unique city. If you want to have a nice and unforgettable visit, ask me as Seville tour guide. It is the best way to know my city. I was born in Seville, I have a degree in History, I love this city. Here you have some reasons to hire my guide services in Seville. 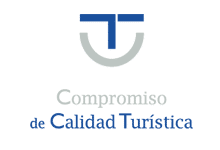 In Toursevilla I also work with some colleagues, they are all official guides of Seville and very nice and professionals. In my team we can offer you tours in english, french, italian, german and portuguese. Click here and you’ll know my most popular tours. If you want I can give you a customized quote. Marta, thank you for providing a wonderful tour for us on January 17.Stay well. My husband and I were in Seville last week and had an amazing time. We booked a full day private walking tour with Marta, which we split over two days, i.e. 11am to 2pm each day, which was perfect and worth every penny. 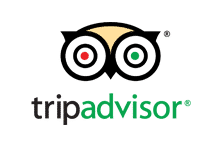 Marta was very pleasant to be with and extremely knowledgable and informative with very good English.We would highly recommend a tour with Marta. We are very glad that we chose Marta. Her English was excellent, she was very friendly, and her knowledge of every location we visited was superb. Even the walk between the sites was educational and interesting. The additional advantage of being with an official tour guide is that you can get into the monuments more quickly, and really get the most from each one. If you are visiting Seville, I would highly recommend booking Marta very early on in your stay. I recently visited the city of Seville Spain (Oct. 2012) and due to time constraints I wanted to see as much of the city and its history as possible. We toured 6 different cities in Spain on an 18 day trip and the tours were all great, but this one stood out as on of the best. Our guide was Estela (would recommend you request Estela if she’s available) and she could not have been any more welcoming, well knowledgeable of the city and accommodating. We had a memorable time with Estela and learned so much about Sevilla all without being overwhelmed. We waited in 0 lines as Estela was able to shortcuts the lines by being so well prepared with entry tickets and using her tour guide pass for quick entry. The communication from Marta and her team from the time we booked, to right before our tour, and the follow up communication were all excellent. We knew exactly what to expect, when and wear to meet our guide, what to wear, etc. I highly recommend Toursevilla to anyone visiting Sevilla. My family and I stayed several days in Seville and we were so lucky to have chosen Marta as guide. She is really friendly and has a perfect knowlage of the city and the history. She showed us interesting places that we alone nerver would have found. Also the children found the trip interesting. Next time we will call Marta again.